Just completed the 2011 evaluation summary. Hope as always to follow with a more detailed report, but for now, this gives a general idea of directions and trends. Most interesting thing in here for me is the increase in % of students (up to 45% from 42%), making them now the largest constituency instead of self learners (at 42% down from 43%). These are margin-of-error-ish changes, but interesting nonetheless. Could be a result of the time of year we did the survey, could indicate more people returning to school in a tough economy–lots of possible explanations. 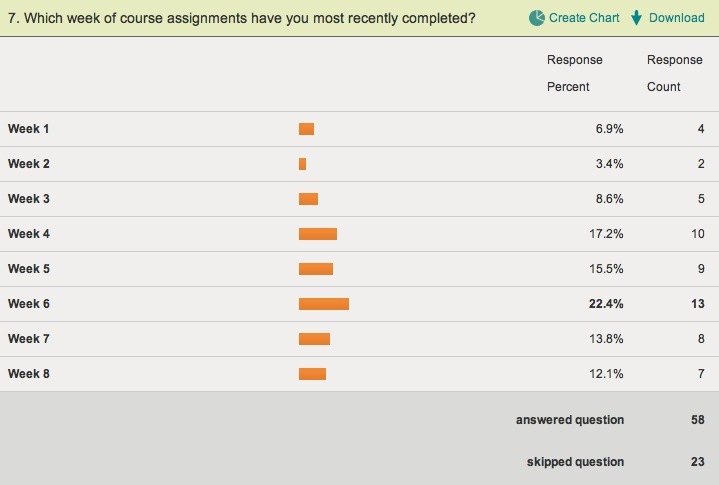 Also interesting that the primary student use is now complementing materials from an enrolled course (up to 45% from 39%) instead of learning outside the scope of formally enrolled coursework (down from 44% to 40%). This may indicate that more students are coming from undergraduate and community colleges, as this lines up more with past measures of usage scenarios at that level, but I’ll have to dig deeper to see if that holds. Dig in yourself, and feel free to ask questions! October is traditionally OCW’s annual high-water mark for traffic, and last month was no disappointment in that regard. The site received a record 1,733,198 visits from 1,026,004 unique visitors. This eclipses the previous high of 1,602,561/1,015,112 from August last year, and is a 12.4%/12.8% increase over last October. It’s great to see continued momentum as we swing into a new school year.